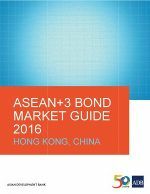 ASEAN+3 Bond Market Guide is a comprehensive explanation of the region�s bond markets. It provides various information such as the history, legal and regulatory framework, specific characteristics of the market, trading and transaction, and other relevant information. The Hong Kong, China Bond Market Guide is an outcome of the strong support and kind contributions of ASEAN+3 Bond Market Forum members and experts, particularly from Hong Kong, China. The report should be recognized as a collective good to support bond market development among ASEAN+3 members.